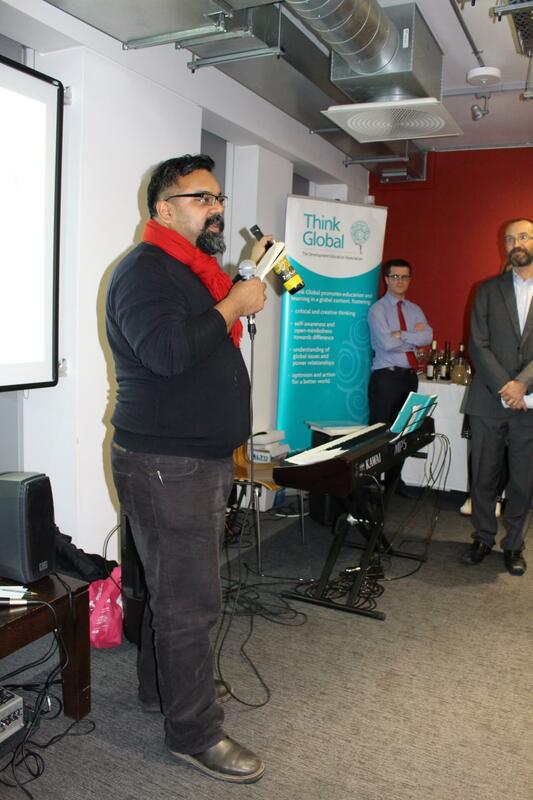 On Thursday 21st January, some 80 attendees came together for “Think Global: Act Global. 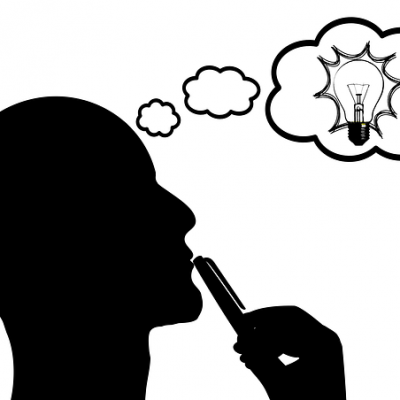 A new vision for supermarkets.” – a networking and showcasing event at the award winning social enterprise, The Brigade bar and bistro. 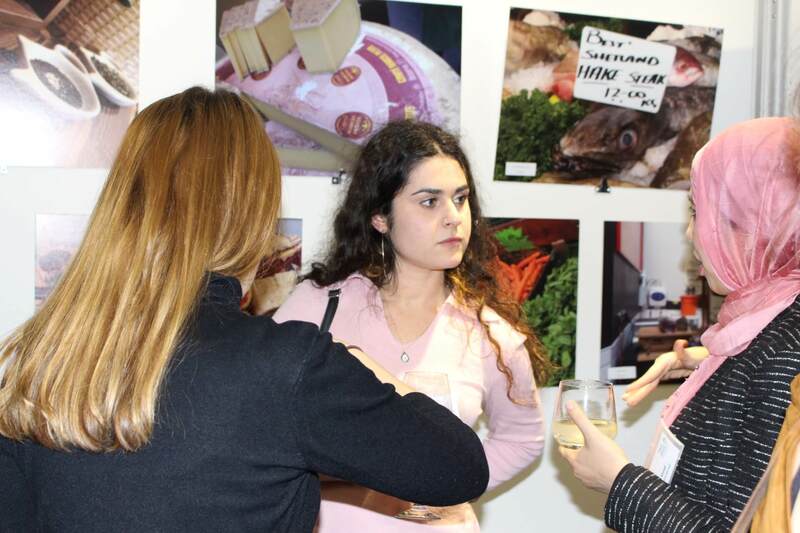 Attendees had the chance to view the entries we received from a photo competition we launched in summer 2015 together with partners across Europe, where consumers were asked to share their vision of a better world and a more sustainable food industry. 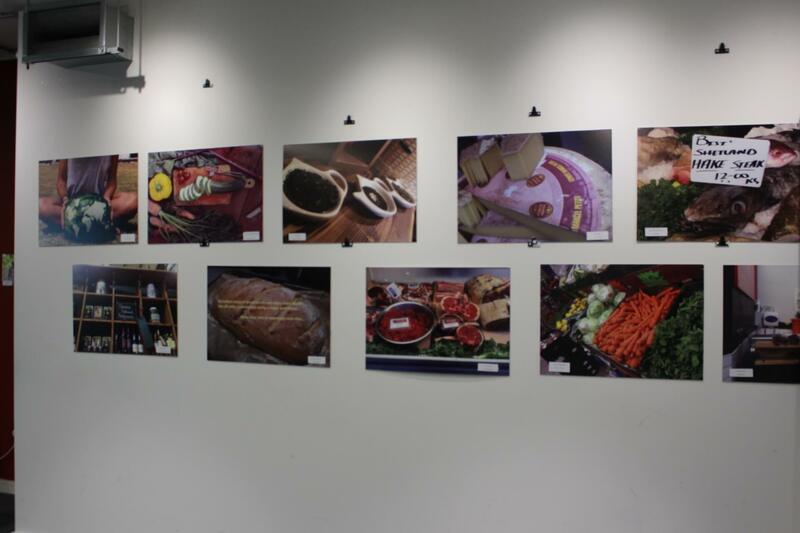 The photo exhibition formed part of our Europe-wide “Supply Cha!nge: Make supermarkets fair” project, through which we aim to raise awareness about the ethics of supermarket supply chains. 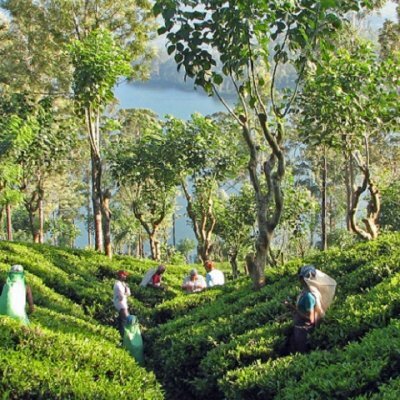 The project focuses on the sustainability of linkages between supply chains and consumption patterns, and puts a particular spotlight on supermarket own-brand products. We were delighted to welcome a wide range of individuals to our event – from long-standing and newer Think Global supporters, to those keen to hear more about the work we are doing to promote global learning. 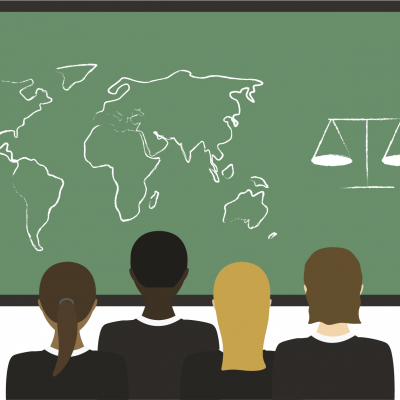 Programme Manager Faaria Ahmad said “Our petition on Brazilian orange juice supply chains has been available for people to sign and what is great is that it is encouraging us to think critically about this issue. I’m very excited to continue some of the conversations that were started this evening”. During the evening, CEO Tom Franklin set this project in the context of the work we are doing to promote learning for a just and sustainable world, highlighting the need to link learning with action. We were then privileged to welcome Atif Choudhury, one of the co-founders of Zaytoun, to speak about how their organisation is making ethical production and distribution a reality. Zaytoun, a social enterprise and community interest company, was founded in 2004 to support the livelihoods of Palestinian farmers under occupation through fairly trading their olive oil. Having pioneered the world’s first Fairtrade certified olive oil in 2009, the range has since developed to offer a wide range of goods, providing a sustainable income for Palestinian farmers and their families. Attendees were treated to a selection of these products at the event! 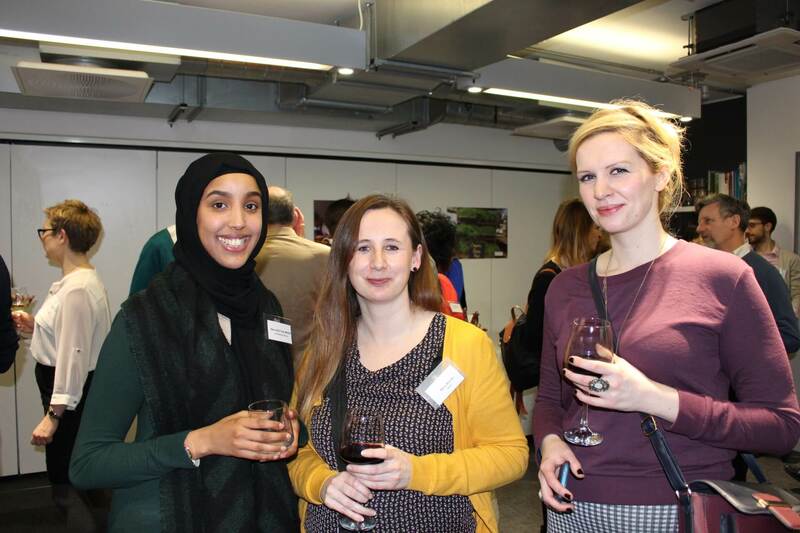 The evening was a great success – as Hugh Starkey from the UCL Institute of Education commented, “The evening was an opportunity to meet new people and make new connections, and take things forward from there”. 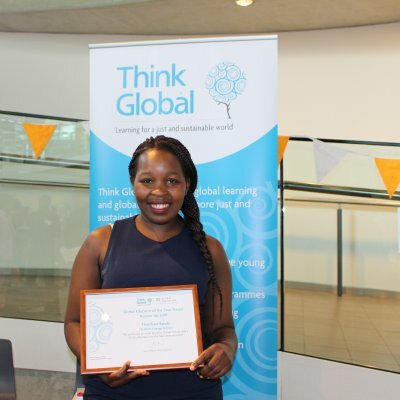 For Laura Lopez from Fuze Beyond Borders, “It’s been very inspiring – it’s given me more motivation as a professional to see everyone sharing something in common”. For Efe Ezekiel from Ushine Ishine, a key takeaway was putting learning into action, “making sure that everybody from young people to adults really get involved and make sure that campaigns, whatever we’re campaigning for, can make a change”. 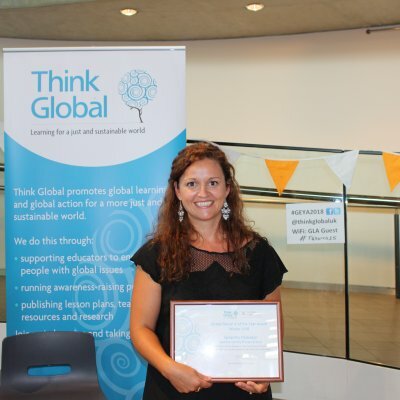 If you would like more information about the project, please contact Think Global’s Programme Manager, Faaria Ahmad at Faaria.Ahmad@think-global.org.uk.